The November 1907 and January 1905 editions of the Edison Phonograph Monthly had brought me closer to finding the original recording of Carmen Carmela, but I still had no actual recording date nor release date, so I continued t search the online archive. 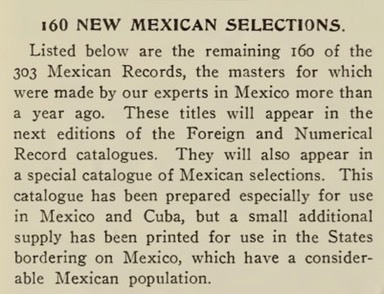 And, although no actual date of recording is given, the text mentions that the recordings, "were made by our experts in Mexico more than a year ago." This places the date of May or June of 1904, given in a separate list, in a favourable light. 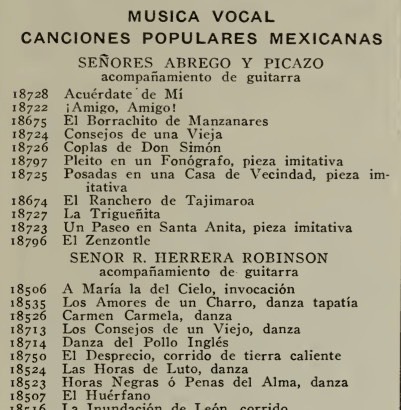 The text was followed by the list of those 160 recordings, which stretched onto the following page, where a number of recordings by Señor R. Herrera Robinson is listed. The list is somewhat confusing, as the individual recordings are not shown in any apparent order, but look carefully, and you'll see an entry for number 18526, Carmen Carmela. 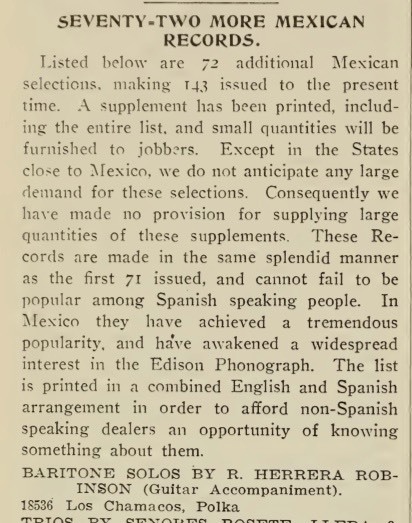 I now had a virtually certain recording date (May or June 1904), the label (Edison) the number (18526), the performer (Señor R. Herrera Robinson), and the release date (June 1905). January 71 + April 72 + June 160, giving a total of 303. All present and correct! Sadly, I have no recording of Señor R. Herrera Robinson's rendition of Carmen Carmela. If you can provide one, please contact me.